New Products Groups is expanding its product line of the popular EatMe fruit-and-nut healthy snack bars — with a new ‘Dried apricot, date fruit, apple and raisins’ bar in an edible wafer paper arriving in its brand assortment. The product will be ‘introduced’ to consumers by the trendy and stylish Monkey. The novelty’s exclusive feature is the use of edible wafer paper and no sugar. 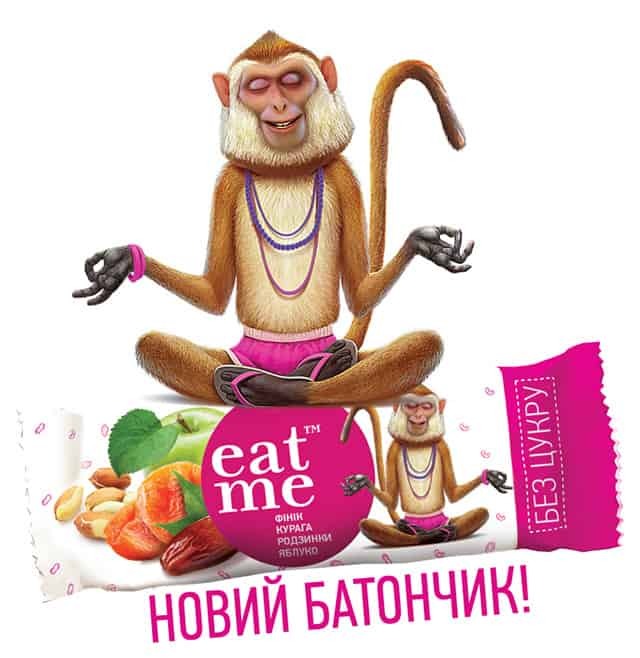 Ingredients of the «Monkey» EatMe bar are natural dried fruit: dried apricot, date fruit, raisins and apples. At the same time the fruit-and-nut snack does not have any sugar or any artificial additives. Like all EatMe bars, this is an exclusively natural product, which is good even for children from 3 years old. Sales of the new EatMe bar began in the second half of May.